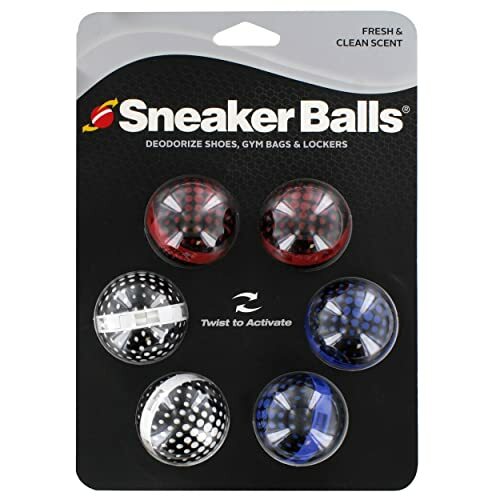 Freshen up any of your enclosed footwear with these odor eliminator balls for shoes. These tiny balls are designed to be used in enclosed areas where other odor eliminating products such as odor powders cannot reach. They can be used inside shoes, drawers, gloves, sneakers, lockers, gym bags or inside any other small compartment where nasty smell is a major problem. They are ideal for hard to reach areas. They come in small tiny sizes and round shape similar to keychain novelty-balls. Each one of them contains an odor-blocker that has a lasting clean fresh scent. They are not messy compared to powdered products. They are very convenient and will not leave any residue behind. They come in a variety of designs such as those resembling soccer-balls, baseballs or basketballs. They are affordable and a cheap alternative to more expensive products. They are easy to use. Simply put them inside the shoes during the overnight period and in the morning your footgear will be smelling fresh and clean. 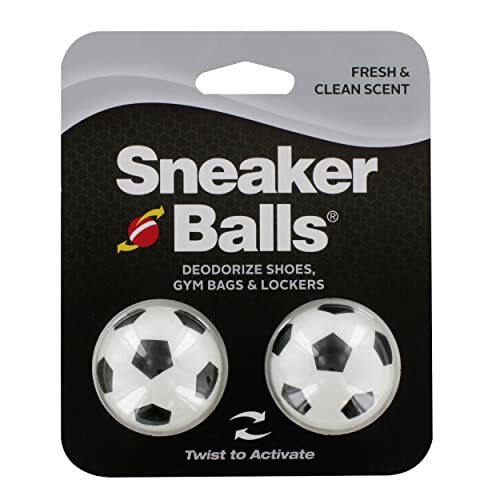 These are designed to help eliminate and mask odors in sneakers, boots or gym bags. One ball can last for a few weeks. They are made of plastic material and have adjustable vent holes at the center.They release fresh, baby powder-like scent in whichever place you put them. To activate the ball you need to twist it. You can control the scent output by twisting the ball in order to allow the clean smell to fill inside the compartment or you can close-shut it to preserve the scent. They are available in different colors and designs. Each pack comes with 3 pairs. These happy feet design comes in a size that fits well in all sneaker shoes. They usually keep footwear in a fresh state between wearing them. They are easy to use, inexpensive but effective. They are made of plastic material and have a small white round shaped chemical substance in the inside that produces the scent. They feature an open and close mechanism that helps to regulate the scent. They come in a good package containing two of them. 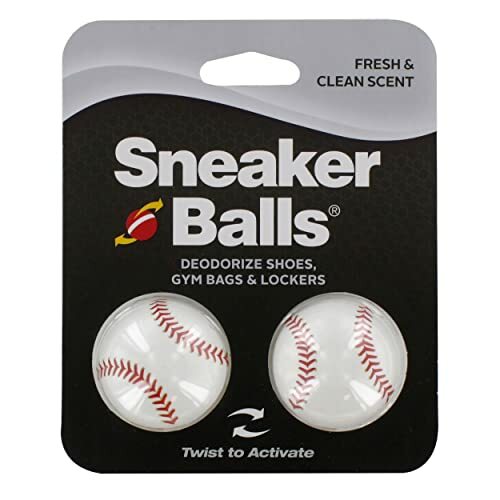 The following fresheners come in an attractive basketball, soccer-ball and baseball designs. No matter what your favorite sport is, you will be able to find a design that you can use inside your sports footwear. 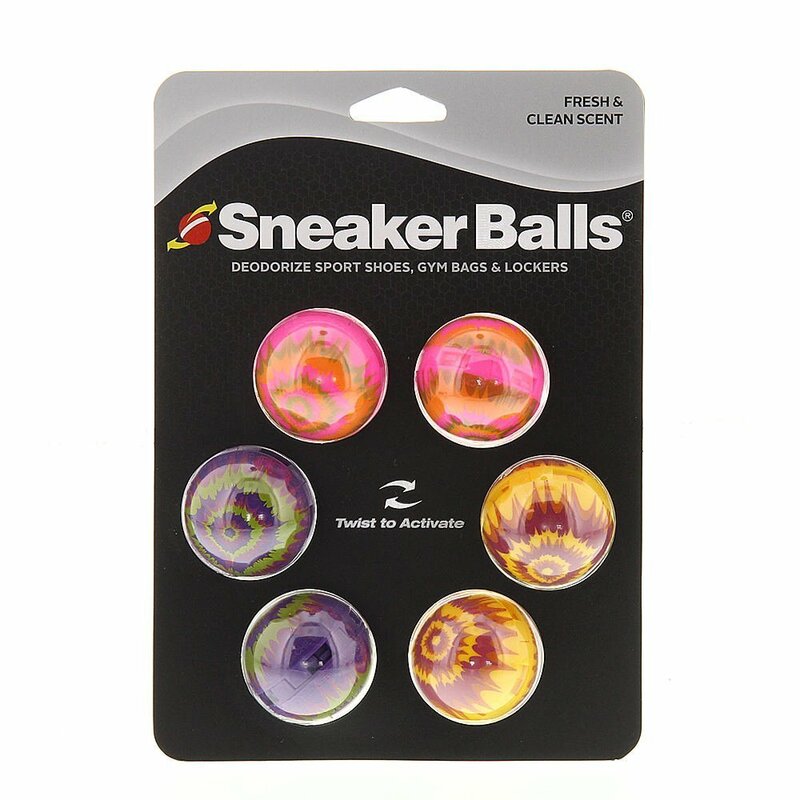 They will fit easily into any shoe and can make a great gift for sports and gym enthusiasts to use on their active footwear. They last for a long time and usually help in eliminating unpleasant smells. To operate, you need to twist the ball to whatever potency that you require or to stop the scent when it is not needed. They have a laundry-fresh scent. 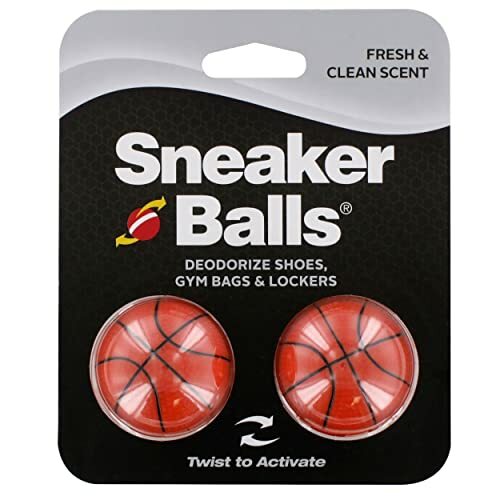 Instead of throwing away your new active foot wear or being embarrassed when you have to remove them in the presence of others, make use of these odor eliminating-balls.